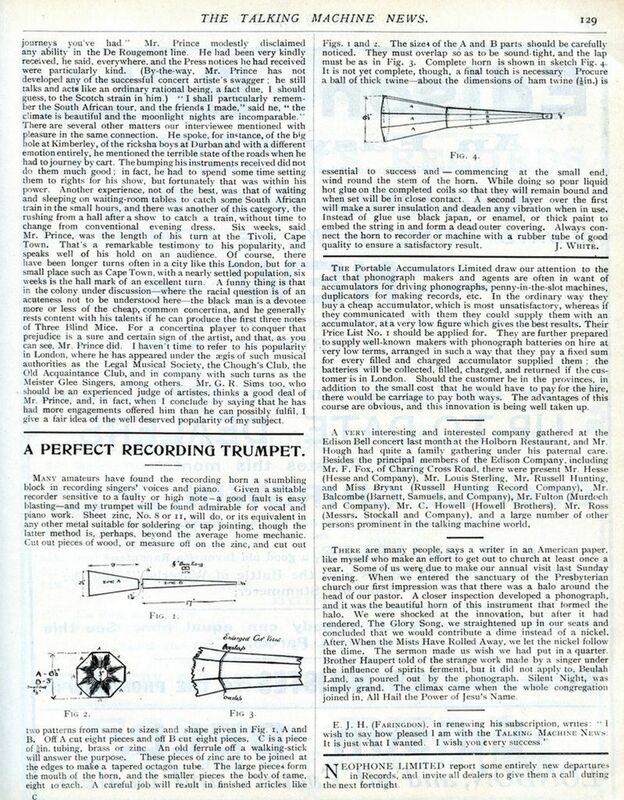 I've recently (2010/11) been researching in the World Accordion Review magazine, which was published from summer 1946 and into the 1950s. 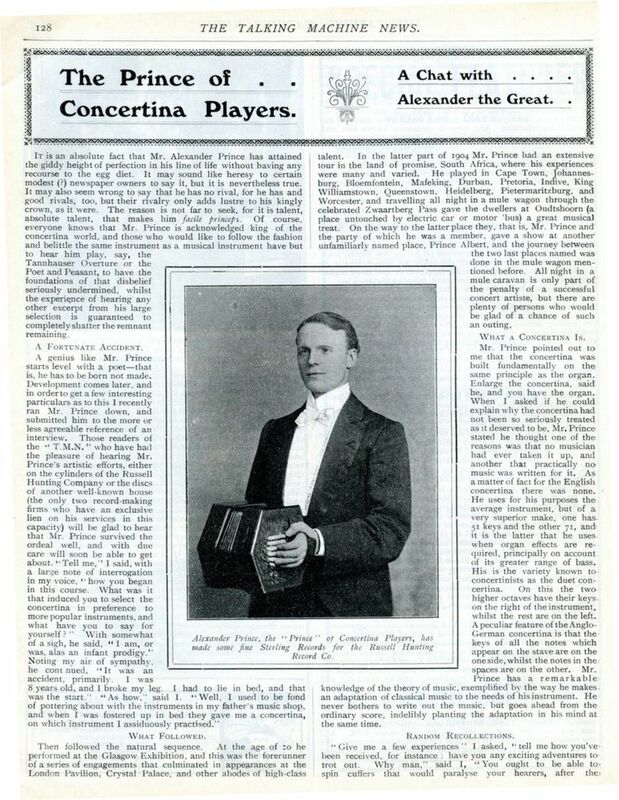 From December 1949, a Concertina section was added, and one of the items was a precis of an Alexander Prince interview from 'Talking Machine News' of May 1906. I thought that it would nice to find the original, so I eventually landed up at the Gramophone Collecting Forum where one of the members (Thanks Starkton!!) provided a scan of the article, and allowed me to publish it here. Most of the information on Prince that I've provided over the years has been from World Accordion Review, and I've discovered that I've even been quoted as the source on other sites, so to put things right, here is the original. If you want a OCR-PDF version (1923KB), you can download it by right clicking. © wes williams January 2013.